In The Nature Conservancy’s California Chapter, Rodd leads a multi-disciplinary team of scientists to guide efforts focused on conserving biodiversity and ecosystem services in working forests, rangelands, and cultivated landscapes. Specifically, Rodd helps lead the Conservancy’s science related to accelerating the restoration of forests in the Sierra Nevada, protecting and ensuring sustainable management of grasslands used for livestock production, and incentivizing farmland management that can increase their biodiversity value and decrease impacts to our natural lands and human health. Rodd also continues to work actively in guiding bird-friendly management of farmlands, with a special focus on Sandhill Cranes in the Sacramento-San Joaquin Delta. Rodd has over 20 years’ experience in natural resources conservation and wildlife research. Prior to joining the Conservancy, Rodd served as Director of Conservation for Audubon California. 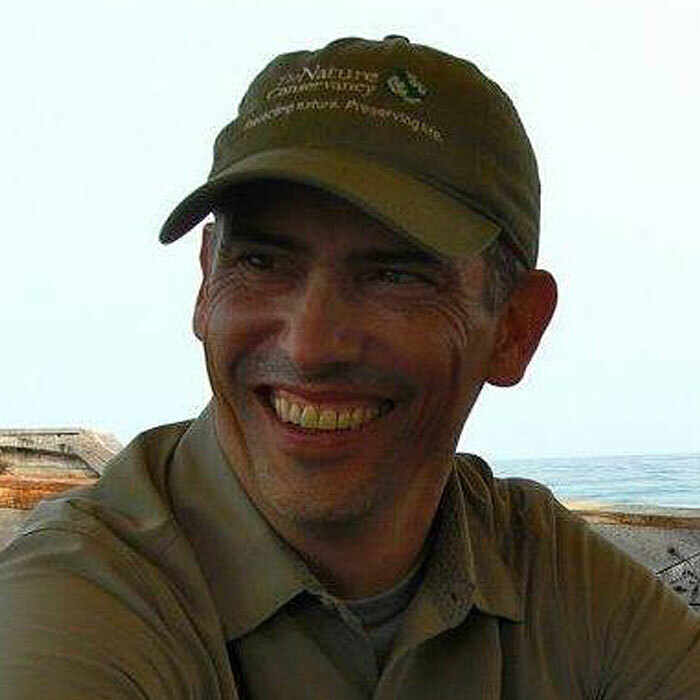 Previous work included field research on several bird species throughout the United State and Central America, serving as natural resources manager for the U.S. Navy, and as a private consultant working on habitat conservation planning. Rodd received a B.A. in environmental conservation at the University of Colorado, an M.S. in biology at California State University, Long Beach, and his Ph.D. from the University of California, Davis. I’m currently working on two projects. One is completing a regional prioritization of watersheds in the Sierra Nevada for targeting investments in forest restoration to reduce the potential for severe wildfires and enhance the biodiversity and resilience of these watersheds. My other project is completing a quantitative assessment of the ecosystem service co-benefits that may be generated by strategically retiring and restoring agricultural lands in the San Joaquin Valley to help achieve groundwater sustainability and recover habitats for severely imperiled wildlife. Not Leaving it to Beaver: Can we restore meadows by mimicking beavers? Wildlife Friendly Agriculture: Can we modify agricultural landscapes to enhance habitat for wildlife, in ways that also benefit the farm? Can We Grow Safe Produce and Conserve Nature at the Same Time?